Should it stay or should it go now? 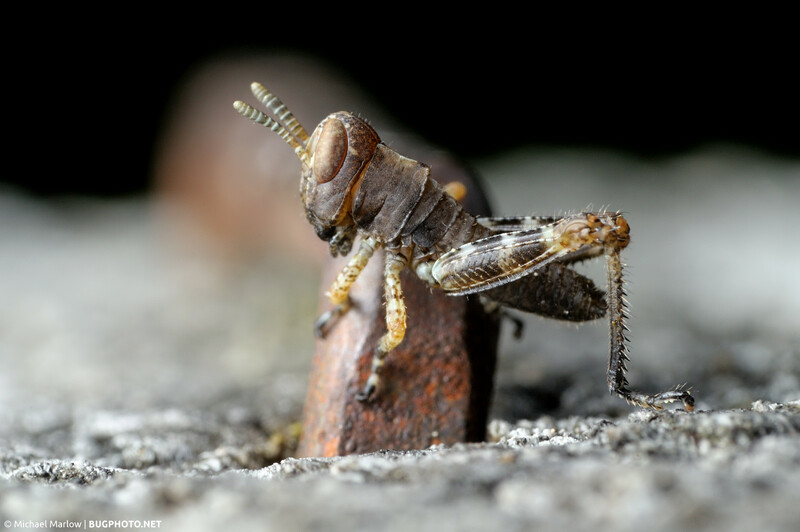 A grasshopper nymph pauses on a corroded staple as it was being tracked by the camera. Here, caught atop one of the big staples in the fence posts, we have a little grasshopper nymph that was eying me wearily while it moved about the wood fence. Pretty neat, little thing. I usually like the nymphs better than the adults for grasshoppers. Probably lens bias, i.e. the smaller, younger ones fit into the frame of my reverse lens where as often the adults do not, or only at limited perspectives. Feeling like I’ve been oversharpening my photos of late. Toned it down a tad for this one. I guess I prefer to err on the softer side. Posted in GrasshoppersTagged grasshopper, Macro Photography, nymph, perspective bias, sharpening, spikyBookmark the permalink.